We are delighted to announce that we have successfully secured planning permission for 70 new family homes in Comber. The new development will consist of a mix of 3 and 4 bedroom detached and semi detached homes ranging from 1080 sq.ft to 1750 sq.ft. Work on the development is scheduled to start at the end of April 2019. This new scheme will see a ‘new look’ to the popular house types synonymous to Lotus Homes. 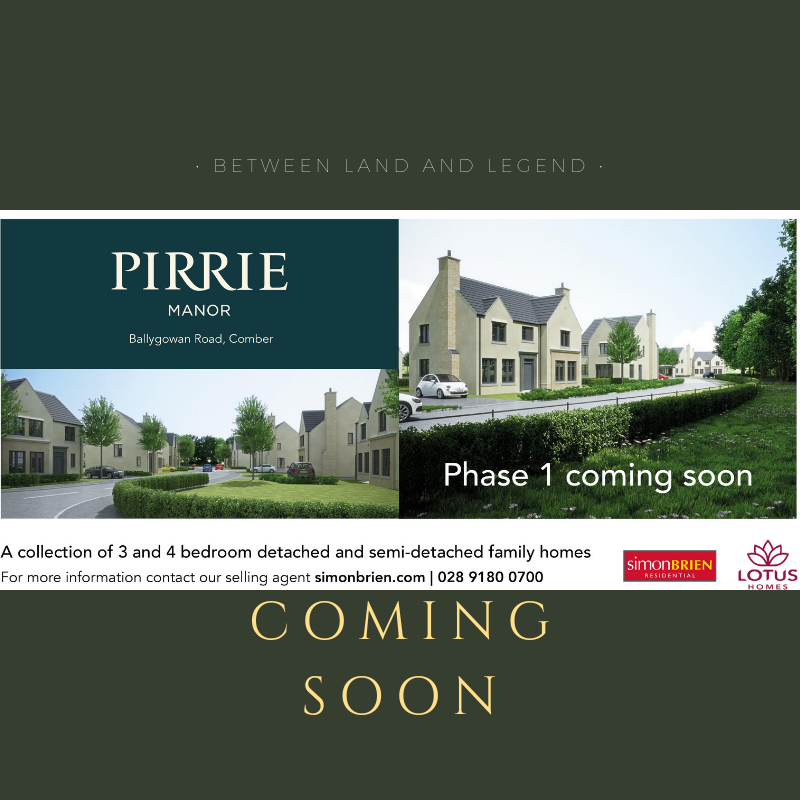 Following in the footsteps of previous successful award winning developments the new development ‘Pirrie Manor’ on the Ballygowan Road in Comber offers new home buyers a chance to create their dream home with a wide choice of internal finishes to chose from. Our extensive Turnkey packages allow home buyers to make their own selections that reflect their own style and personality. As always the Lotus Homes team will be on hand to guide and help new purchasers through the buying process and making their selections. Award winning estate agents Simon Brien Residential will be handling sales and enquiries from their Newtownards branch, headed by Andrea White. For all enquiries or to register your interest please contact our selling agent simonbrien.com / 028 9180 0700. 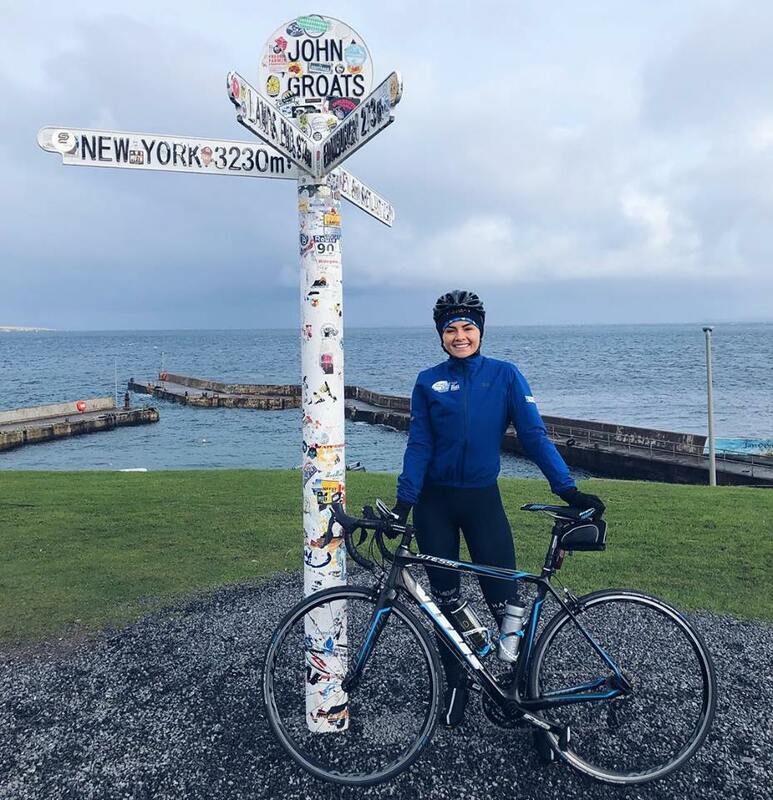 This month we have been delighted to be able to support local girl and ex Miss Northern Ireland, Tiffany Brien in her challenge to complete The Great Rugby Cycle 2019. The ambitious cycle ride kicked off on the 4th March from John O’Groats. Tiffany Brien all ready for the challenge ahead. The Great Rugby Cycle is a charity cycling event to raise funds and awareness for the My Name’5 Doddie Foundation. The charity bike ride covers 1238 miles from John O’Groats to Lands End. Tiffany is one of six cyclists who will be attempting to complete the whole event joined along the way by rugby legends, sports stars and celebrities from TV and film. We are delighted to be able to support Tiffany as she cycles an average of 83 miles a day to raise awareness and funds for the foundation. To find out more about the foundation please visit https://www.myname5doddie.co.uk. Having studied Architecture at Queens University, Alan brings with him 20 years of residential architectural experience. Previously he has held a senior position in private practice, worked directly for one of Northern Ireland’s largest residential developers and more recently been self employed working closely with a small portfolio of developers on a variety of sites across Northern Ireland. 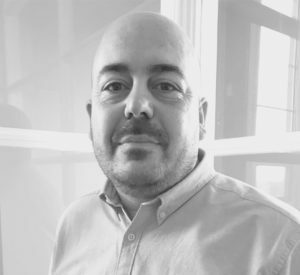 We are delighted to welcome Alan to the team and look forward to working with him on our current and up and coming projects in the months and years ahead. Keep up to date with the latest news from Lotus Homes.